Aisha Fukushimi's much anticipated EP Project, The Cypher represents a powerful blueprint for the more just, free and compassionate world we wish to live in. It includes three beautiful and engaging songs - Just Breathe, Missing You and Sweet Sounds. The Cypher was launched during Aisha's world tour at Dome of Visions in Copenhagen, Denmark, and most recently performed live on stage at NCORE - the National Conference on Race and Ethnicity in American Higher Education, held in San Francsico. 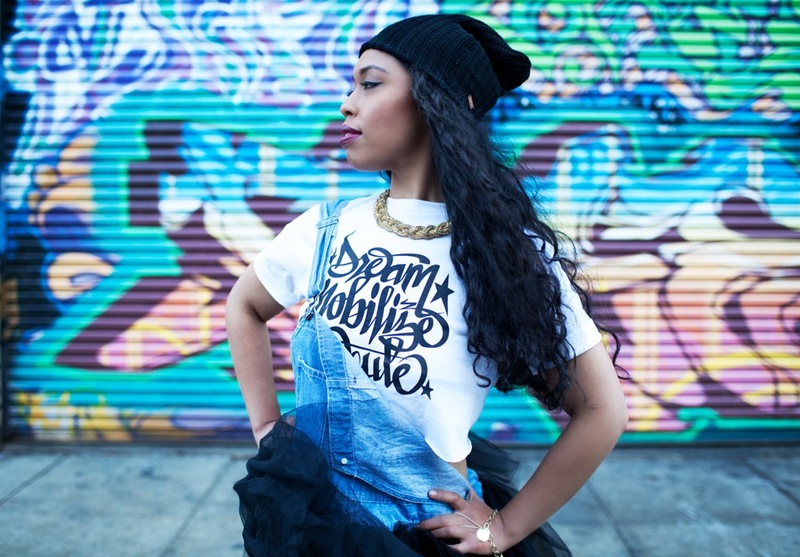 From Copenhagen to California, Aisha is, in the words of anti-racism writer and speaker Tim Wise, "A non-stop lyrically poetic powerhouse who can blow your mind, touch your heart, and rattle your bones all in one verse."